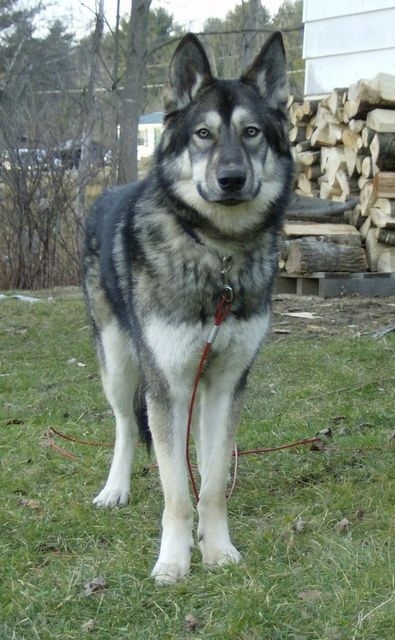 It is often believed that this particular dog breed is a wolf-dog hybrid since it looks very much like one. 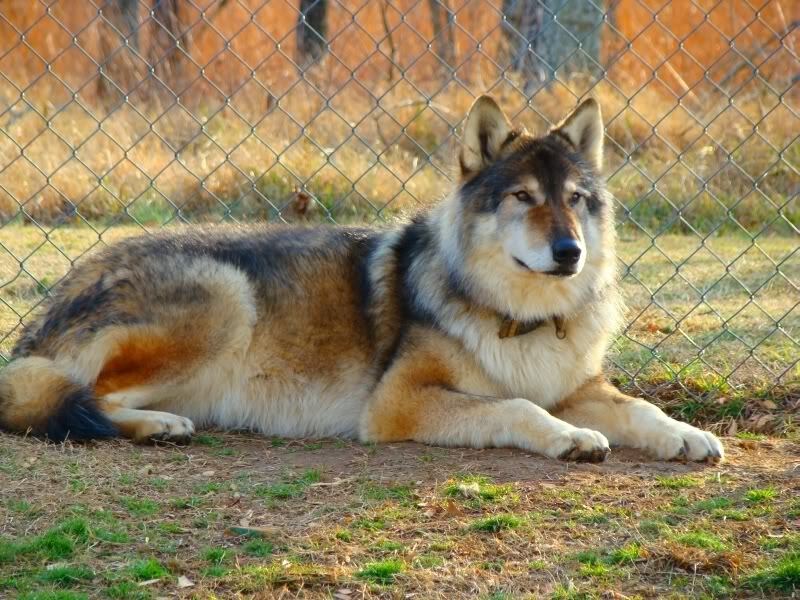 With an elongated, narrow muzzle, erect ears, fierce eyes and an overall athletic build, these dogs are also found in some wolf-like colors. 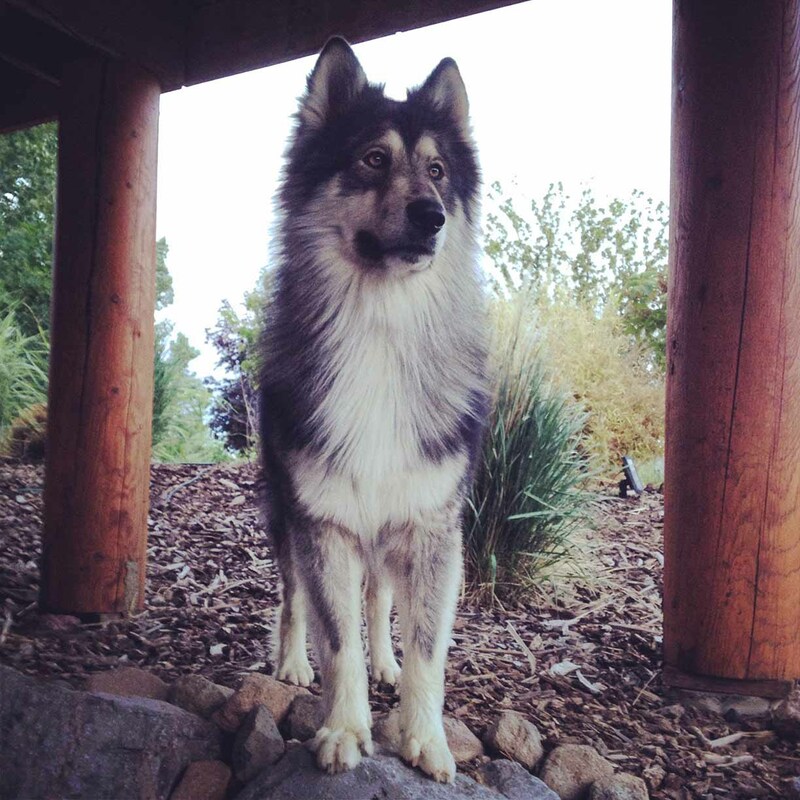 NAID is basically a wide dog, sized between 23 and 34 inches and weighing about 50 to 120 pounds. These dogs have a medium to long, triangular head. Their skull shape resembles closely to that of an American Alsatian. Their big, beautiful eyes are found in unique colors – brown amber, pale blue, yellow and sometimes even gray. The NAID has a robust, well-muscled neck which gives off a very strong and powerful vibe. Despite being short in length, the neck is usually thick. As already mentioned, these dogs have wide bodies with the ribcage being sprung up and deep enough to reach the elbow. Their tail may be curled up small or long with a kink at the end. They come in 2 color combinations and 2 coat lengths. You may find them in a silver and black or a solid tortoiseshell color. The upper coat has a harsh texture to it, while the undercoat has waterproof properties. The NAID sheds heavily during the spring season. As for the rest of the year, this shedding is minimal. Its dual-layered coat requires brushing on a daily basis during the periods of heavy shedding. Otherwise, you may brush it weekly, making sure the coat remains healthy and clean and flyaways are kept under control. The good thing about this sturdy looking animal is that it does not come with a smelly, primal scent. It does not emit odor either, but this doesn’t let you off the hook from bathing the dog every day or as needed. Ear cleaning is mandatory for these wolf-like dogs as there is potential for wax build-up that needs cleaning before irritation and infection become commonplace. You may clean their ears using a cotton ball soaked in a vet-approved cleanser. Brushing their teeth weekly or bi-weekly is essential. You don’t want to promote tartar, gum disease, and bad breath. Lastly, make sure to spare some time and clip their nails monthly. These intelligent dogs are smart both indoors and outdoors, and they are super attached to their owners. You might find your NAID trying every bit to please you and have you smile at it quite often. A NAID will work very hard to ensure that you are happy and satisfied with its abilities and performance. If somehow it has disappointed you, it knows how to fix it! You won’t have to ground it as punishment. These dogs are friendly and playful around children and other animals. They are sensitive and packed with a lot of emotion. Thus, your NAID will love socializing and interacting with people and animals, but yell at it once and you might create a sense of fear in it and it will act out. These animals have been made to receive kindness, love and care in abundance. So, don’t be scanty! The most applaudable thing about the NAID is its attitude to training. These dogs are highly trainable and demonstrate little to no resistance to learning. They respond positively to leadership. Although quite obedient, these dogs may sometimes be rebellious, but this applies largely to the younger lot. Crate training is highly talked against for such a breed since limiting its boundary area appears as mere punishment to this kind. Identify its various behaviors and conduct training accordingly. Obedience training is yet another feasible option for these fellas. This ranges from learning the most basic rules such as sitting, standing and fetching to more advanced learning such as rolling over. Since this dog is enthusiastic to learn, you may not have to worry about timing its training sessions either! The NAID resembles the Australian Dingo as well and has been friends with the original American people. With its ancestors spanning centuries, these dogs have been on the planet for longer than one would expect. It had been used as a beast of burden by the Native Americans prior to the introduction of horses in the mid-1500s. During the 1700s, Native Americans had been breeding different dogs to achieve a distinctive breed that possessed the specific talents and abilities of each parent. The first NAID was a conglomeration of many unique breeds. This dog breed was found and trademarked by Karen Markel in the mid-1990s. It is known as a working and companion dog based on its manifold talents of being used as a therapy dog, hunting companion, handicap assistance dog, weight competition puller, search and rescue dog, agility competitor and skijoring dog. It is commonly referred to as the Carolina Dog, North American Native Dog, Dingo Dog, Dixie Dingo, and the Southern Aboriginal Dog.